Tomorrow is the first of two ‘blood moons’ expected this year. The dates related to Passover are late by a couple of days and not truly the biblical ones, but align with the Days of Unleavened Bread (see Holy Day Calendar). 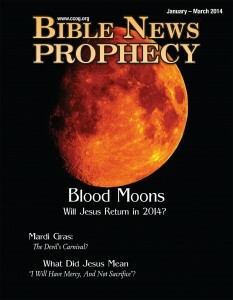 In 2014, someone once part of the old Worldwide Church of God assured me that these blood moons must have massive prophetic significance–while indicating that the final one in 2015 remotely might, I assured him that the others did not. Other have disagreed, but so far, they have been wrong. 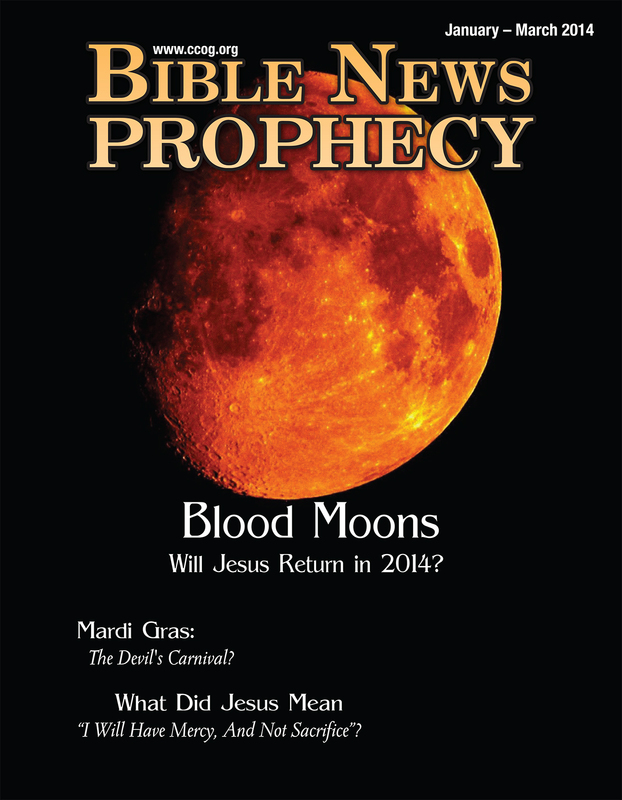 Protestant ministers John Hagee and Mark Biltz have suggested 2015 as a possible date for Jesus return and that this could be tied to a blood moon. They also indicated 2014, and nothing of massive prophetic importance like they seemingly indicated happened. Protestants who claim a pre-tribulation rapture will occur on a blood moon this year are wrong. While we are in the last days, and probably in the time that Jesus referred to as the beginning of sorrows (Matthew 24:4-8), there is no possible way that Jesus will return in 2015. Actually, I do not believe it is biblically possible that Jesus will return before 2022. The above events have not yet been fulfilled. And since that tribulation cannot start for at over 3 1/2 years from now, then there are another 3 1/2 years, etc., this means that Jesus will not return before 2022. Now if by tribulation, Jonathan Cahn meant the Great Tribulation, then it is not at all possible to begin then. I have gone over this before in various articles and videos, and I have directly debunked the hypotheses of the Great Tribulation beginning in 2014 or 2015 (see When Will the Great Tribulation Begin? 2015, 2016, or 2017?). While in the United States in September, Francis will also address a joint session of U.S. Congress in Washington. Somewhat related to all of this, a reader sent me a link to a popular YouTube video that basically claims that since Pope Francis is scheduled to come to the USA in September, meet with US President Obama, speak before US Congress, and speak before the United Nations, that this is the start of a one-world government and the beginning of a seven-year tribulation. As I have been writing as well as speaking on the radio, unless the deal of Daniel 9:27 (see The ‘Peace Deal’ of Daniel 9:27) is confirmed this September, which looks unlikely at this stage, the final seven-years before Jesus returns will not start in September 2015. Jesus is coming, as is the Great Tribulation, but Protestants, Laodiceans, and others who overlook certain scriptures will tend not to know when. It is from the Bible that we in the Continuing Church of God can “We have also a more sure word of prophecy; whereunto ye do well that ye take heed” (2 Peter 1:19, KJV). Although the Bible does tell of a prophetic time involving the moon turning to blood, it is not an event that possibly can occur in 2015. Do not be dismayed as many are. This entry was posted on Friday, April 3rd, 2015 at 7:00 am	and is filed under Prophecy, Religious News.